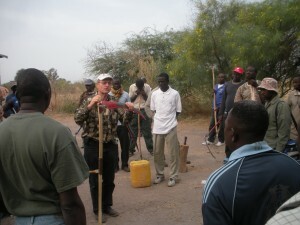 During the week of January 17-21, several of us Beer-Sheba guys took part in some appropriate training that was being offered in Thies. Claude Eric-Robert from Switzerland was in town to enlighten us all on haying techniques and cattle raising here in the semi-arid region we live in. 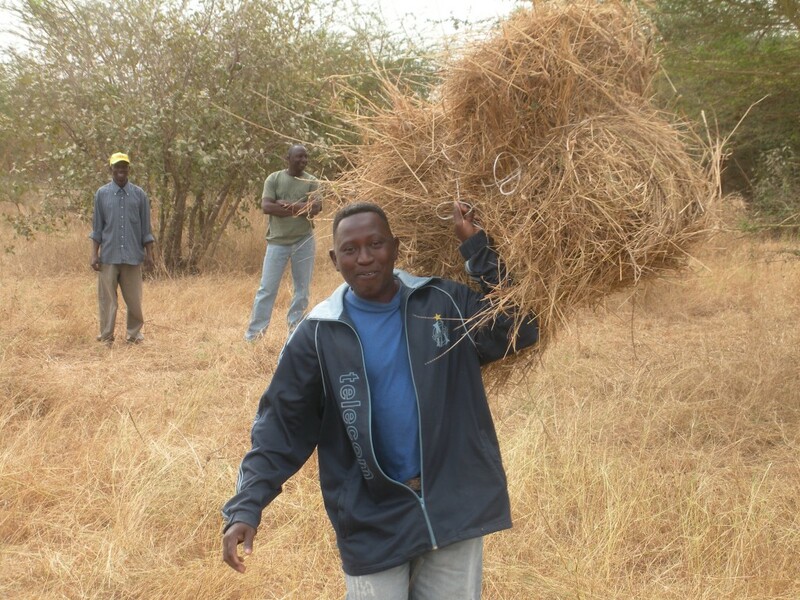 Claude is the founder of the Jethro Project in Burkina Faso where they train hundreds per year in improved techniques for maximizing the nutritional value of native hayland. His topics were all very pertinent to our objectives at Beer-Sheba and a great deal of time was taken at explaining feed nutrition and how that applies to feed conversion for ruminant animals. 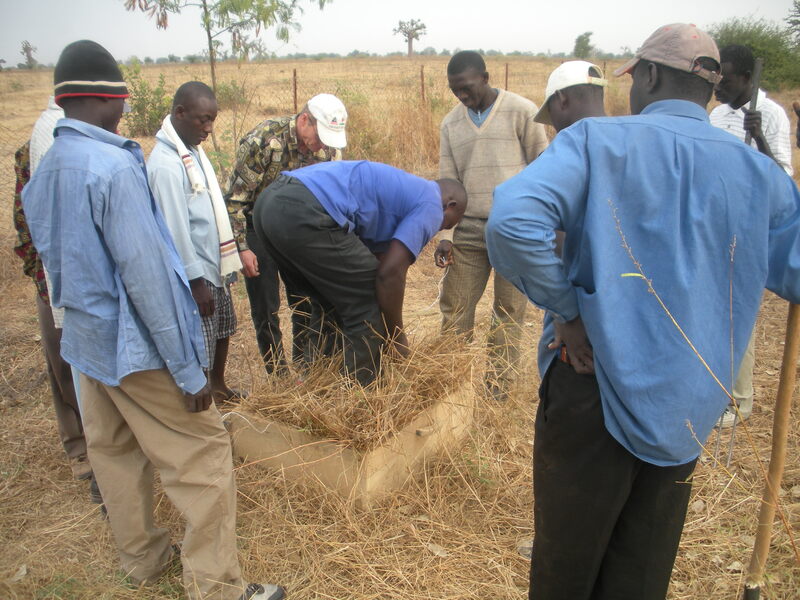 There was over 30 young men in attendance for the training and we hope that they will all be able to take back some of the practical knowledge that Claude Eric-Robert shared with us and apply it to their farming practices. 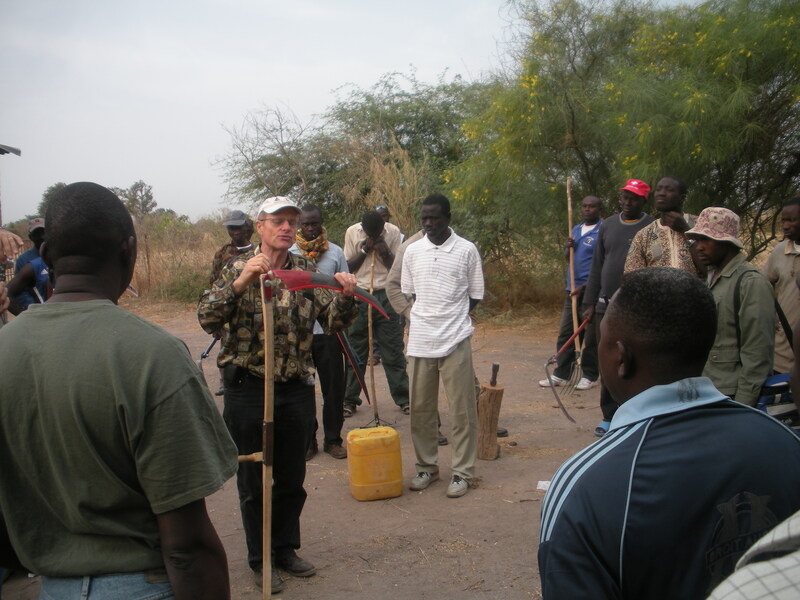 At the end of the course, each student received a scythe for hay cutting, which when properly maintained and used, is up to 5 times faster than the hand sickle that they use here. 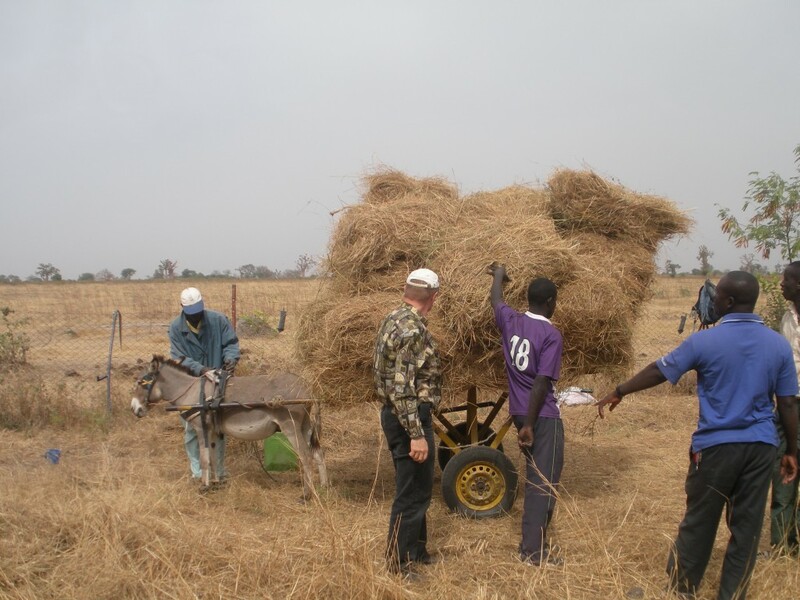 Midway through the week, all students came out to Beer-Sheba for the practical part and a full day was spent cutting hay, making bales, pruning trees, and of course, fellowship over some fish and rice. Take a look at the pictures and video posted below for more info. Hay Production Practicum from joell friesen on Vimeo.